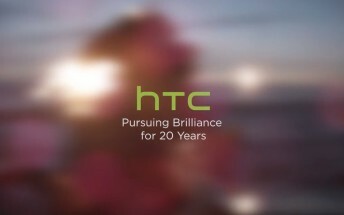 HTC has made a new video today, and this one doesn't have anything to do with the U11, believe it or not. No, this time around the Taiwanese company isn't interested in promoting its latest smartphone. It's up to something else entirely. Namely, it wants us to know that it's turning 20. Well technically it's turned 20 this past Monday. Yes, HTC was founded on May 15, 1997. So now that it's finally got out of its teen years, it reveals that it's been "pursuing brilliance" for two decades, but is also looking forward to what's to come. HTC created the first publicly available Android smartphone, the G1 (a.k.a. Dream), and for a long while it was among the top sellers in the space. The company has seen its fair share of troubles (having to do with low sales levels) recently, so perhaps the new U series of devices unveiled this year - the U11, U Ultra, and U Play - will help it overcome those issues. We'll have to wait and see.